My boys wanted to be part of this blog post! When MAC launched a new lipstick range you know I am going to be all over it like a rash! 'Huggable lip colour' launched on the 26th December, is limited edition but currently still online and in store. Not to do things by halves, I picked up six. 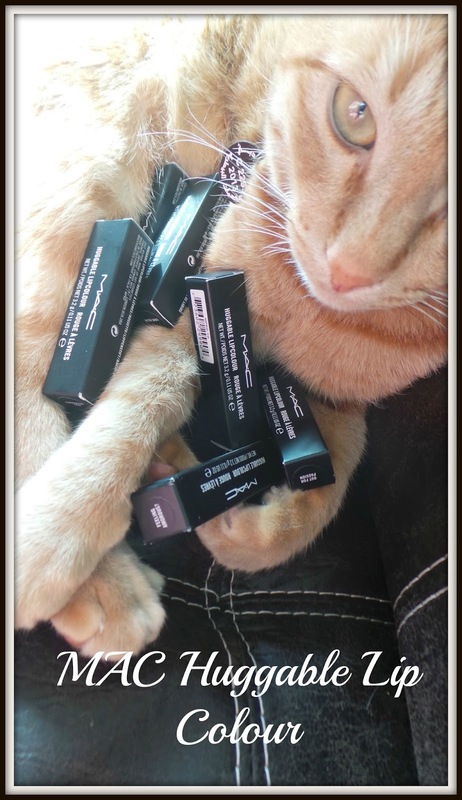 I love every shade I bought, I am just not sure about the formula. The lipsticks are housed in a very sleek silver bullet-similar to the Sheen Supreme lipsticks but also very similar to the Bobbi Brown lipsticks. 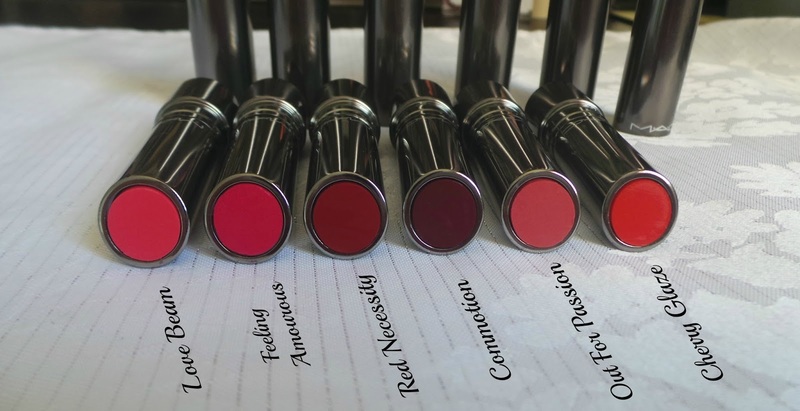 These lipsticks are marketed as glossy, high shine, lightweight, long lasting and hydrating. Glossy and high shine is a definite tick in the box as you can see from my photos. The lipstick is quite hard to apply from the bullet in terms of getting a precision finish and has quite a lot of slip, I found it best to use a lip brush in the corners. I also found it quite hard to get the colour even and opaque, each lipstick took about 2 to 3 layers to get an opaque finish. You can see how 'Commotion' and 'Red Necessity' aren't quite even. The feel is quite heavy and syrupy-it's not uncomfortable or sticky but certainly feels different to a normal lipstick due to its gel base. Another annoyance is that it's not easy to reapply all the shades-some seem pucker and flake on the lips when you try to reapply a few hours after the first application. However, they do last a good 3-4 hours on the lips, leave behind a nice even stain and are not drying at all. I did experience some bleeding with the darker colours but an application of an invisible lip liner seemed to stop this. So I am on the fence. Would I buy more? No. Do I like the shades? A definite yes, they are beautiful, wearable and glossy. Do I like the formula? It hasn't blown me away. Have you picked up any of these shades?